From Liberty Hardware, the Serenity Pull is a soft modern design that will provide a relaxed modern style to cabinetry or furniture. Crafted from die-cast zinc for long lasting quality and durability. Installation hardware is included and multiple finishes are available. Inspired by rustic décor, the Arias collection gives your room a warm yet rugged look. The chunky design feels great to the hand and provides a bold finishing touch to your cabinetry. Ideal for industrial or farmhouse décor. The Liberty 3 in. Polished Chrome Sweepy Pull adds a touch of contemporary flair to cabinetry. The pull is made with metal to help ensure strength and features a bright polished chrome finish. It comes with mounting hardware for easy installation. Includes polybag with 8-32 x 1 in. machine screw. 3 in. or 3-3/4 in. 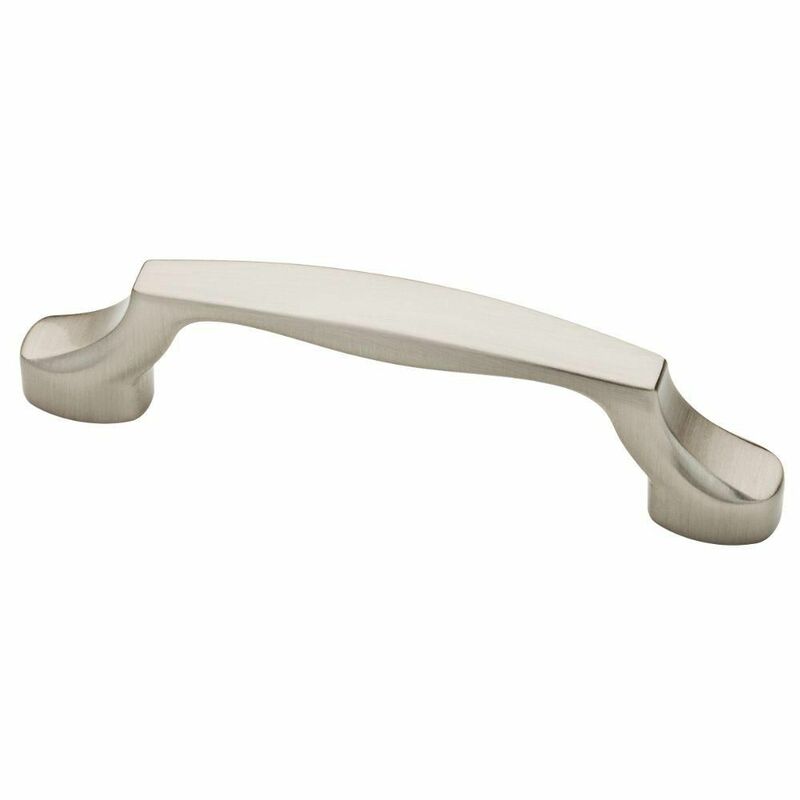 Dual Mount Serenity Pull From Liberty Hardware, the Serenity Pull is a soft modern design that will provide a relaxed modern style to cabinetry or furniture. Crafted from die-cast zinc for long lasting quality and durability. Installation hardware is included and multiple finishes are available. 3 in. or 3-3/4 in. Dual Mount Serenity Pull is rated 5.0 out of 5 by 7. Rated 5 out of 5 by HomeDepotCustomer from Easy to assemble. Looks great!... Easy to assemble. Looks great! Rated 5 out of 5 by Cindy from Perfect for an uplift to my kitchen. ... Perfect for an uplift to my kitchen. Rated 5 out of 5 by ChiSoxFan from Quality product, modern look Very smart look that will go well with a lot of cabinetry types. Easy to install and with 2 set of screw holes they can be used to retrofit old cabinets easily. Rated 5 out of 5 by BOBBY from Cabilet handles were just what we needed Handles were well made and very standardized. Mounting of all 35 handles went well and they look great!